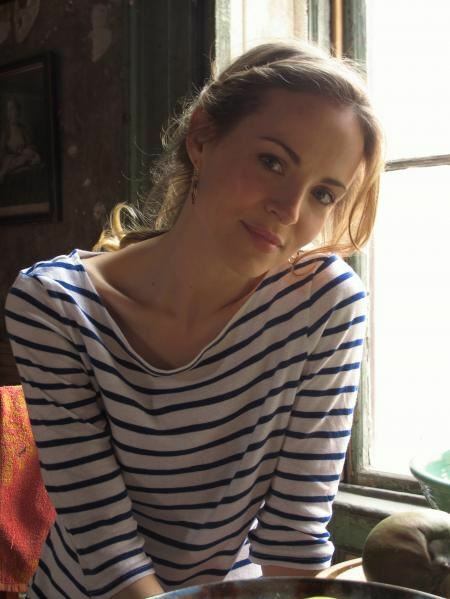 Gemma Hayes is a singer-songwriter born August 11, 1977 in Ballyporeen, Tipperary, Ireland. She signed to Source Records/Virgin in 2001 and issued the folksy 4.35am EP and the more band-orientated Work to a Calm EP before releasing her debut album, Night on my Side, in 2002. The album was subsequently nominated for that year's Mercury Music Prize, now called the Barclaycard Mercury Prize. After touring for Night on my Side Hayes took 2 years out from the music business; "All I do know is that I didn't want to listen to music at all. I stopped listening to the radio. It was like I'd overdosed on music". In late 2005 Hayes returned with her second album, The Roads Don't Love You, and picked up the Best Irish Female Artist award at the 2006 Meteor Ireland Music Awards shortly before completing a small tour of the United Kingdom and Ireland. She also co-wrote the song "Hazy" with Adam Duritz for the Counting Crows' live album, New Amsterdam in the same year. Following the departure from Source/Virgin after her second album she released her third effort The Hollow of Morning on her own label in May 2008. Let It Break is Hayes' fourth studio album, released in May 2011. The album was recorded in Westland Studios in Dublin, Ireland, Black Box Studios in Noyant La Gravoyère, France and in Los Angeles. Her fifth effort, Bones + Longing, was released in November 2014. Hayes' music has been featured on a multitude of films and television shows, including Grey's Anatomy, ER, and Mr. And Mrs Smith.